Now I know what “Only Apple” means. After reading more about the Apple Watch late last night 1, it became clear to me that only Apple could launch the products services they can at the scale they can. Below are some of the elements that, when combined, make Apple the only Company that can accomplish what they have so far and what they will in the future. Commerce – iTunes has 800 million credit cards on file. The ability for Apple to extend their services to commerce was created in large part by iTunes. Design – It’s cliche at this point, but Apple values design more than just about anyone. The Apple Watch looks stunning, and beyond the way it looks the way it works seems unrivaled. The level of precision in the digital crown and how that interacts with iOS software is something that only Apple can do. Hardware & Software Integration – Related but separate from design. These are two distinct disciplines – to build hardware like the Apple Watch is usually left to single firms that are experts in that field. But Apple does it themselves, and they do it really well. The same applies to operating systems. Business & Partner Development – Often overlooked but an area Apple excels at. Apple is tenacious when it comes to partnerships. 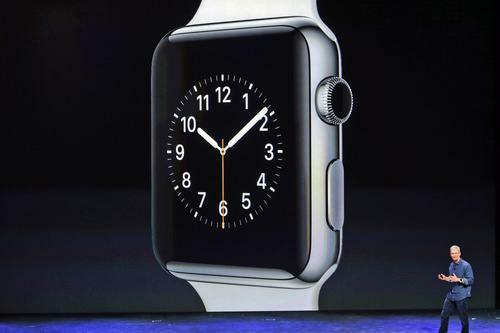 They had to line up large retailers, credit issuers, app developers, and much more to create the Apple Watch. That is a difficult task that is not in the DNA of many tech companies. Events – The September 9th event lived up to the hype. That is amazing in itself. They are masters of stagecraft and it’s a pleasure to see. It’s also easy to forget all the incredibly detailed work that went into creating the products and experiences launched September 9th. Conclusion – I’m sure I’m missing a few things (Operations and Supply Chain?) but the Apple Watch is the best evidence we’ve seen so far of Tim Cook’s “Only Apple” mantra. The way that different disciplines come together to advance industries is something that only Apple 2 could do.